The new Festool Work app is the perfect tool for gaining a detailed overview of Festool tools. It gives you quick access to Festool services and allows battery packs to be linked. For simpler, digital control of your tools - download for free and get connected now. TOOLS: Get a detailed insight into all your registered Festool tools, view the purchased date, dealer and warranty period. In addition, check out information from Bluetooth®-compatible battery packs such as fill level, status and last contact. 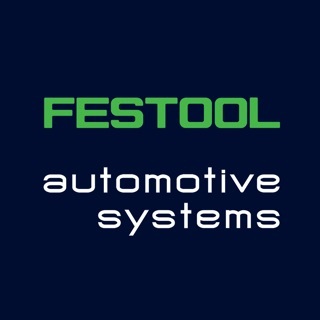 SERVICE: Your direct line to Festool – by telephone, e-mail or via the contact form. Easy registration for warranty all-inclusive and quick repair order placement. DEALER SEARCH: Simple dealer search, in your area or internationally – via GPS or search form. It includes favourites function. APPS: You can download and install the Festool Order app, as well as visit us on Facebook, Instagram and YouTube, and benefit from our comprehensive, personal support. PROFILE: Here you can modify and update your MyFestool account. Access information on data protection, company details, ways of getting in touch and the Terms and Conditions of Use. This update optimizes the Bluetooth® interface and fixes some minor errors.